Do You Have the Traits of a HSP? In recent times, more and more information has become available on the traits of Empaths and Highly Sensitive People (HSPs). But as little as ten years ago this wasn’t the case. Many Sensitive people struggled to understand who they were and why they had such powerful emotional reactions to life situations or when around certain people. It is interesting to note how many Empaths discovered they were also introverts on their quest to uncover why they ‘felt’ so much when around people. And a need for time alone was not just down to having been ‘peopled’, it is very much an introvert trait. But even the extrovert Empaths discovered, like introverts, they also need time alone to recharge. 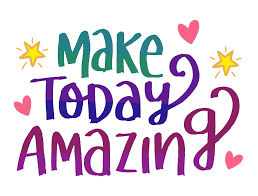 During my research I came across two authors, Susan Cain, who wrote the book Quiet, and Dr. Elaine Aron, a prominent research psychologist who wrote a book about HSPs. Their research really helped me better understand the traits of Empaths , HSPS and introverts. In her research, into the inner-workings and behaviour traits of Sensitive people, Dr Aron interviewed 39 people who described themselves as either being introverted or easily overwhelmed by social stimulation, and queried their film preferences, creative activities, relationships with family and friends, and philosophical and religious views. Based on these interviews, and further research, she came up with a compilation of 27 attributes of a Highly Sensitive Person. Highly Sensitive People tend to be keen observers who look before they leap. They arrange their lives in ways that limit surprises. They are sensitive to sights, sounds, smells, pain, and stimulants such as coffee. HSPs have difficulty when being observed or judged for general worthiness. They have a tendency to be philosophical or spiritual in their orientation, rather than being materialistic. They dislike being engaged in small talk. They describe themselves as being creative or intuitive. They dream vividly and have good dream recall. They love music, art, nature and physical beauty. They feel exceptionally strong emotions, such as acute bouts of joy, sorrow, melancholy and fear. They process information about their environments, both physical and emotional, very deeply. They notice subtleties: such as another person’s shift in mood or a light bulb burning too brightly. They have an unusually strong conscience. They dislike violent films and TV shows. The are acutely aware of the consequences of their own behaviour. In social settings they often focus on subjects like the personal problems of others. Aron also found that many introverts tend to be Highly Sensitive…or Empaths! Do you identify with any of the above traits? It should be noted that because someone is an Empath does not always make them an introvert, there certainly seems to be more introvert Empaths than extroverts, but many introvert Empaths tend to be a HSP. An introvert Empath or HSP has more chance of becoming excessively withdrawn, to the point of becoming a near recluse, especially if they’ve taken many knocks in life (read more about this here). If would like to discover more about where you sit on the introvert/extrovert spectrum click here to take the Briggs Meyers personality test. It’s quite an eye opener. 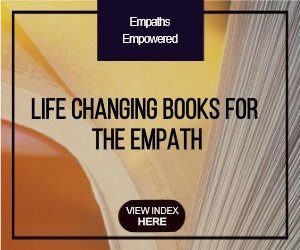 For more books on the incredible Empath traits and ways for the Empaths to harness their hidden power click here.